Can I change my PHP version? 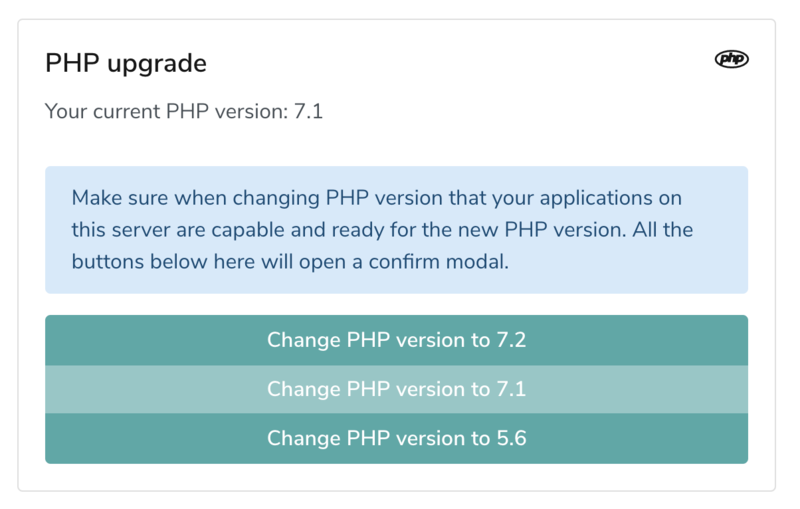 Yes, you can change your PHP version. Just go to your server, click the "PHP" tab and look for the "PHP Upgrade" block. In here you will find several options to change your PHP version. 06 August 2018I added new code but changes are not coming through, what did I do wrong?